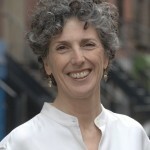 Dr. Marci Reaven’s career in public history has included stints with the exhibit planning firm American History Workshop, the cultural organization City Lore (where she directed the wide-ranging Place Matters project), and the New York Historical Society where she is Vice-President for History Exhibitions. She’ll draw on her own experiences and those of others to discuss the joys and challenges of public history, paying particular attention to projects that center around places and their ability to connect us to the past, and to diverse communities and their ongoing cultural traditions. Bmore Historic is a participant-led unconference on public history, historic preservation and community development in the Baltimore region and across the state of Maryland. Organized in partnership between Baltimore Heritage, the Greater Baltimore History Alliance, the Maryland Association of History Museums, Maryland Historical Society, the Maryland Historical Trust, Preservation Maryland, and the UMBC Orser Center, Bmore Historic is an opportunity to connect with local historians, humanities scholars, preservation advocates, museum professionals, archivists, and anyone interested in exploring the vital intersections between people, places and the past in Baltimore and Maryland. We’re bringing people together and you set the agenda. Unlike most traditional academic or professional meetings, an unconference is a created and managed by the participants, with the content of the conference determined day-by-day during the course of the event, rather than in advance by the organizers. Unconferences are not a spectator sport. Leave your PowerPoint at home, we’re not looking for presentations, just people who are ready share their knowledge and discuss their work.